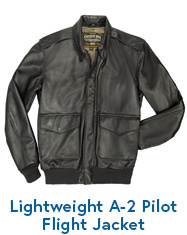 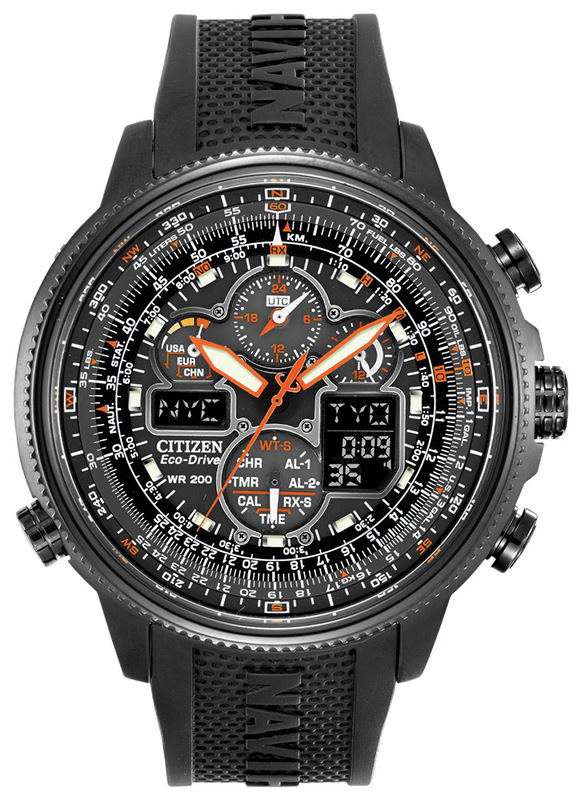 This Men's Citizen Navihawk A-T Eco-Drive Watch JY8035-04E watch features a Radio-Controlled World Timer and never needs a battery. The Eco-Drive technology converts and source of light in useable energy; the energy is then stored in a special power reserve to keep your watched charged. 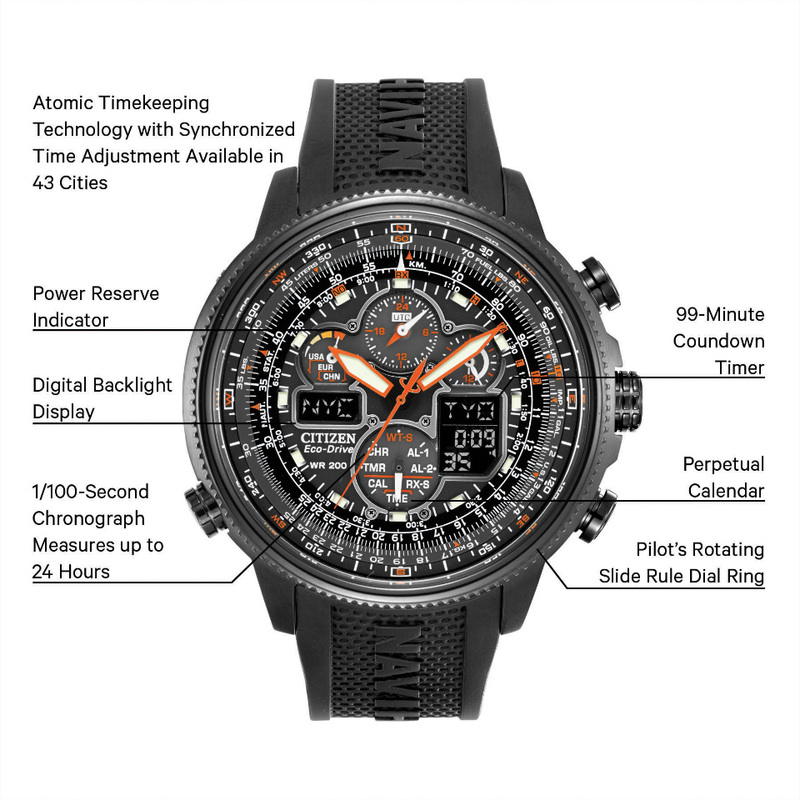 The Citizen Eco-Drive Navihawk A-T displays digitally the time in 43 cities, and has a 99-minute countdown timer and Coordinated Universal Time display. 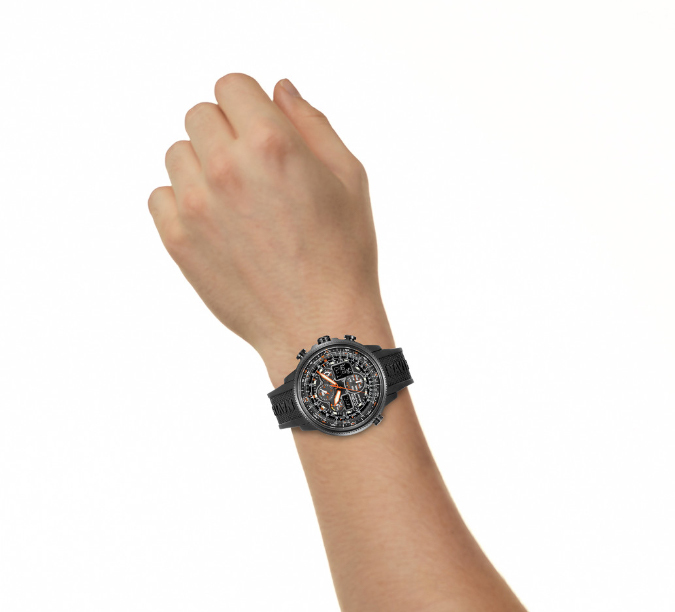 This Navihawk is stainless steel with black ion plating, with a deep embossed black polyurethane strap and orange accents on the dial. Ensuring accurate time keeping, the Japanese quartz movement keeps you right on time, and the Citizen Eco-Drive technology harnesses the power of any light source so it never needs a battery. Water-resistant up to 200 meters and securing with a two-tone stainless steel bracelet with hidden double push-button fold-over clasp, this watch includes a five-year limited warranty.